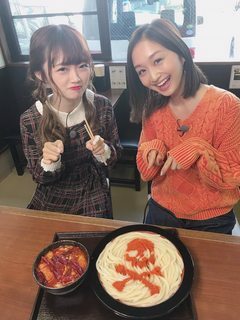 Rikachan made a guest appearance on the premiere of Sakuma Nobuyuki's ANN 0 (Zero). Sakuma is producer of various shows on TV Tokyo, like Seishun Koukou 3-nen C-gumi. Apparently she's mad at him because he's got a regular radio show instead of her-- who was once considered to be a personality "to shoulder ANN" (even if just as a joke). They had been avoiding to speak to each other about this matter since the announcement of this show and today was the opportunity for reconciliation, but it seems that she won't forgive him as long as this show lasts. Sakuma: Welcome to MY radio show! Nakai: You piss me off! 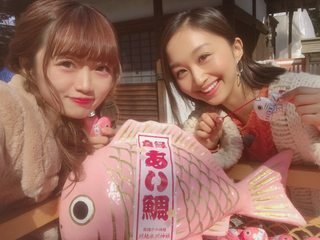 "Rika Nakai of the idol group NGT 48 struggles to make friends, a Fuji TV variety program "Can you become friends from today? Will start from the 14th (late night 1: 25). 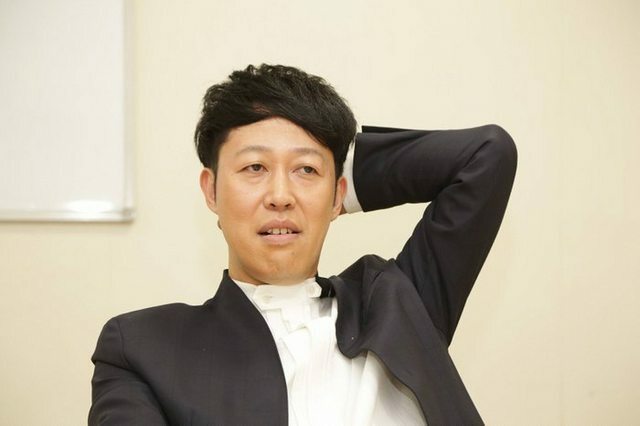 Nakai, who has few friends because of clumsy, and Chitoyo Kojima, who is a witness who connects guests, supports Nakai." A.52 - "Can you be my friend from today?" starts! 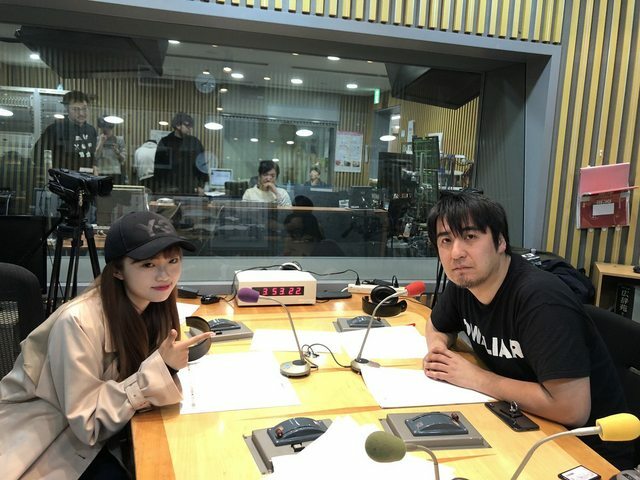 【Nakai Rika / modelpress = April 5th】NGT48・Nakai Rika and comedy talent・Koyabu Kazutoyo will host the new TV show Kyou kara tomodachi ni naremasu ka? ("Can you be my friend from today?") to premiere on April 14th at 25:25 (JST). 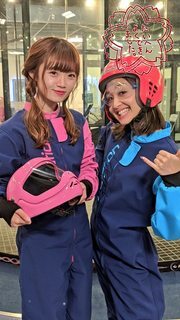 Nakai — who says she is not good at making friends, thereby having only few of them — will receive guests in the attempt to make new friends in this show. Koyabu Kazutoyo will help Nakai, acting as a facilitator between her and the guest. 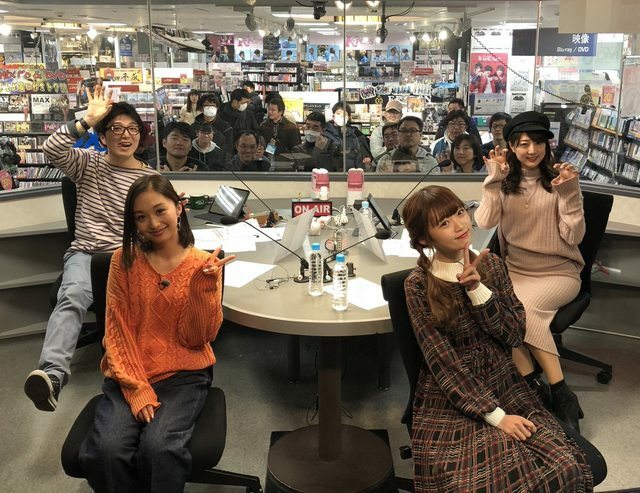 Nakai Rika "I was pretty nervous"
The guest for the premiere episode to air on the 14th is ex-TBS announcer Yoshida Akiyo. Nakai, an idol from a city far from the country's capital, will engage in a heated free talk with the announcer Yoshida, a lady raised in the metropolis, in order to find out what they have in common. Q: What are your impressions after having finished the recording of the first episode? Nakai: I was afraid I might hurt the guest's feelings because I have, how should I say, an unbridled tone of voice... an unrestrained tone of voice... I have a sharp tongue! (laugh) But after the recording has finished, I thought I could do it just well. (laugh) It seems that there was no problems. 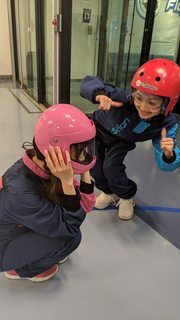 Koyabu: I still can't see at all this person making friends in the future, but it will be good if she gets friends togo out for lunch or to gather together at end-of-the-year parties. I'm looking forward to seeing her posting photos on blogs saying "I came here with a friend." Q: If you two were friends, what would you like to do? Nakai: I have heard that Koyabu-san likes casinos. I would like to try it. Koyabu: If I invited you to go out for lunch and we went to a Frankfurt restaurant, you would probably be troubled, saying: "What's this?" By the way, what do you like to eat? Koyabu: For example, I bet you would be shocked seeing me saying "oui" to the chief at one of those sushi restaurants that you can find listed in the Michelin Guide, wouldn't you? I, too, want to show you that I know grown-up stuff. Koyabu: I'm getting older, you know, so I can simply be glad seeing a young girl appreciating good food. Q: How about your experiences about making friends? Koyabu: I always had many friends. My mom would tell me ever since I was in kindergarten: "Be kind to women — a man who is disliked by women is worthless." So, in my adolescence, I would talk a lot with girls at school, but then I began to be ignored by the boys. Once, during a free time, I asked a male colleague in the classroom: "Are you guys going to play soccer?" and got a vague answer: "No idea." But then, after returning from the bathroom, I looked out of the window and saw all the boys playing soccer in the schoolyard. 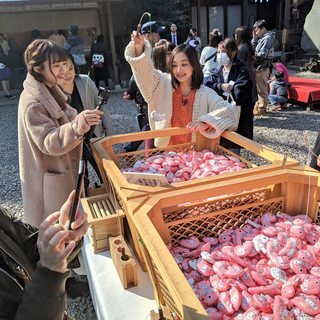 "Have they decided to play soccer all of sudden?," I was thought, when some five female colleagues came to me and told: "Koyabu, do you know you're being ignored by the boys?" "Don't worry, I'm on your side," they stood by me. I had never been obsessed with the idea that I should have lots of friends, but there, along with the girls, I realized how good it was a relationship in which you could have fun together. Also, I feel closeness to new people very fast. For me, being in a same class was enough reason to become friends! Same goes for Nakai-chan. At first, I wasn't aware of her, but the fact we work together is enough to make her my oshimen, you know. Koyabu: She is my oshimen in NGT48. If you have fun together with a person, be with the person. Q: Has your idea of "friendship" changed after the recording of the first episode? Nakai: I think I have always demanded too much from a friendship. I realized that even if you have only one thing in common with a person, it's enough for going out for lunch and get along well. I always demanded that a friend should "never betray you," that should be someone you could "trust" and that they should "help you whenever you were troubled," but I guess my expectations were too high. (laugh) If I'm more flexible, maybe I'll be able to make more friends. I hope this show helps me to break the wall I have built around myself. Koyabu: There must be many girls thinking the same, around her age, with too high expectations in a friendship. Q: Many people have been making posts using hashtags like ＃春から（学校名）*, etc. to meet new people first on social media, to become friends afterwards. Nakai: I think that's a good thing. There's a lot of kids that can't talk properly in person, so it helps them to learn what they have in common with other people beforehand. I think it's a something you can use in your advantage. It's useful when you have to get familiar to a new place and feel alienated, like when a new school year begins or if you have moved into a new school. Well, there's an increasing community of keyboard warriors nowadays as well, though. Koyabu: The people of my age are a little negative using social media. Well, I can't say much considering all those photos I post on Instragram. (laugh) Although it may also open the possibility for ill use, I think having the first interaction on social media is something positive in today's society. If, on one hand, there's the pattern where you first exchange LINE contacts and then go out for lunch, on the other, you can become friends first and exchange LINE contacts afterwards (as it will be presented on this TV show). I think both patterns are important. You can exchange contact address, compare personal information, there's a lot of possibilities. The people of my generation wasn't so concerned in "making friends" but it seems different for the current generation. That's why someone of an older generation like me and someone from a younger like Nakai can have a conversation together saying things like Seyana (Definitely), Sore chau zo Koyabu (That's different, Koyabu)** (laugh) I want to talk a lot about making friends. Q: Please, leave us a message saying the high points of the show. Nakai: Usually, I really can't become friends with anyone... (laugh) So, I hope those kids who usually can't talk properly to people get encouraged by this show and find what they have in common with other kids. I, too, want to make friends, (laugh) so that my fans don't get so worried about me. It'll be nice if I find someone who I can get along well in my personal life too. Koyabu: There was a time when I, too, was trying too hard to make friends. Back when I was working in a part-time job, I used to struggle talking to people around me... I think there isn't a single person who can "make friends" without doing any effort. After recording for this show, I thought again that it demands a lot of effort. I hope this show can cheer up everyone troubled in "making friends." I sometimes update my social media in the middle of the night, making many people to ask me "When are you sleeping?" Thus, this week I'm going to talk about my sleep situation. I’m somewhat new to NGT, and I am really liking nakai rika. I however noticed that many do not like her. Can someone give me a run down as to why that is? "My goal is to continue being a bad girl. Last year I was a Little Devil, this year I'll be a Big Devil." On the special red tape that flew away in all directions of the venue, it was written full of mischief "Sorry for being a bad girl! Smack! No-oshihenning is an absolute command! Please keep supporting the spoiled Princess Rika!" Bad girl, little devil, big devil, spoiled Princess. These are characters she created for herself, but some people find them all too real. Humbucker is our resident expert, so he can give you a better answer, I am sure. Haha, that's good summary. I also have complicated feelings about Rika. She has wrapped herself in this bad girl persona, and it seems to work for her. She can be a nice person usually, and underneath I feel like there is a lot in insecurity and fits of depression that drive her outbursts against fans and other members. Of course she has plenty of antis to yell at, too. 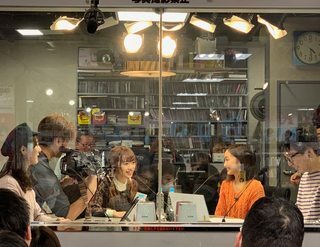 Aside from that, people don't like that she's admitted (in the most flashy way possible, during SSK live broadcast) to living with a guy and (apparently) received no punishment. As a Naachan oshi, she's sort of the anti-Naachan, but I still like her. 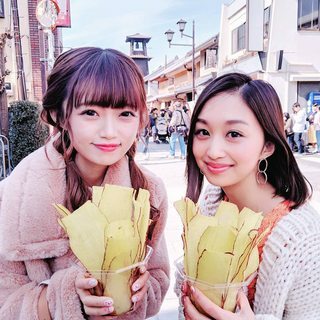 I would like to believe she's not involved in the issues around Maho, and I could continue to support her, but there's more dust to settle yet. Constant work while the rest of the group is getting stripped of jobs. As a Naachan oshi, she's sort of the anti-Naachan, but I still like her. You would be surprised if you knew that when she's asked about which senpai she likes more, Naachan is always one of the few names mentioned (it happened more than once-- the last time on an ANN with Yuihan and Rinrin), since Naachan is one of the few senpais that comes to talk to her by herself. 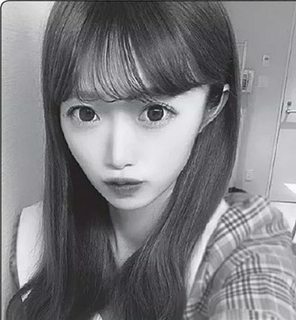 I would like to believe she's not involved in the issues around Maho, and I could continue to support her, but there's more dust to settle yet. Despite all, I highly doubt she could "orchestrate a plan to send men to hurt a teammate." If she's truly capable of such a thing, I'll be the first to give up on her. A 21 year old woman wants to live with a guy have potentially have a relationship? Oh the horror!! !11 Haha, I still think that is dumb, but I guess when you are trying to keep up with men's fantasies, that's inevitable. But thank you all so much for the responses! I think I have a better understanding of why she has a lot of haters. I am still gonna be a fan and support her. She seems so interesting compared to the usual cookie cutter idol. It's refreshing lol. Mod note: don’t double post, edit your first post. You would be surprised if you knew that when she's asked about which senpai she likes more, Naachan is always one of the few names mentioned (it happened more than once-- the last time on an ANN with Yuihan and Rinrin), since Naachan is one of the few senpais that comes to talk to her without being asked. The TV show Hakuchuumu ("Daydream" / Fuji TV)" which I have been participating has just finished this Spring. I really loved this show. I have many memories from it. Recording for it was something so normal in my daily life that I can't help missing it now that it is finished. The fact I met someone like Ito Seiko-san was like a "Daydream." A type of person I would have never met in normal life. We had lots of incredible and peculiar people as guests in the show... and every single meeting has become an important treasure to me. In special, I'm very happy to have become close friends with Seiko-san and Miura Jun-san. The recording with that unconventional trio was really fun. Seiko-san was aware of all my immaturity and gave me lots of advice — even scolding me sometimes. I had had few people around me that would firmly teach me how to live, or should I say, the way of life. Thus, everything in the show was new to me and I really felt that it was a "training for adulthood." I learned a lot of things that I would have never learned if I hadn't appeared on a TV show like Hakuchuumu. Since it seems that there were signs of improvement of my part since the show has started, I honestly wished it could have lasted a bit longer. 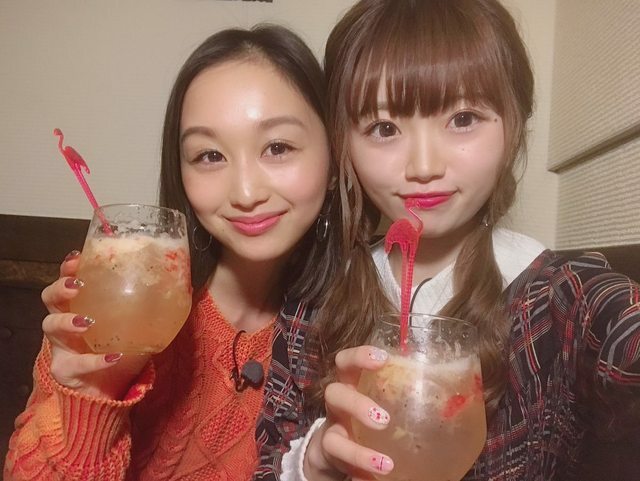 If some day the show comes back, I will want to show an even improved Nakai Rika to the cast, staff and everyone who enjoyed watching the show. CAN YOU BE MY FRIEND FROM TODAY? 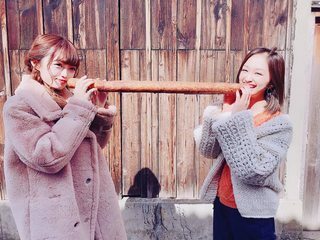 190414 - Kyou kara tomodachi ni naremasu ka? 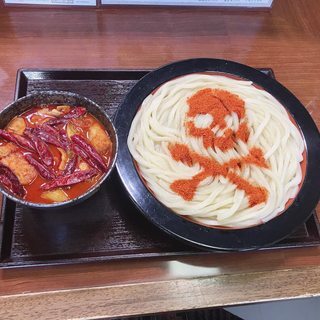 190416 - Chou Tokudai Sanma Goten!! Rikachan doesn't talk much, though. Much as I wish it was the case, I guess it's merely her lack of skills at talking among many people, unfortunately, because it's been happening since a while, already. The impression I have is that she doesn't put serious effort preparing herself for these shows to leave her mark, like many girls like-- needless to mention Sasshi-- Wakatsuki, Michopa, Yukipoyo, and heck, even Nishino Miki! Or worst, it leaves us an impression that she doesn't really want to be there and would rather be doing idol stuff like singing and dancing on stage or at a concert instead... But she better start thinking about her future.